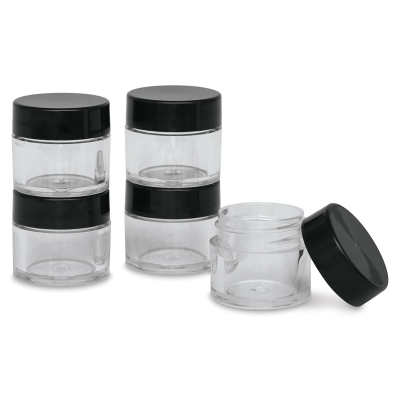 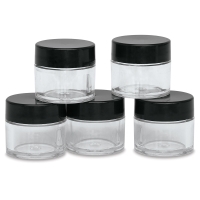 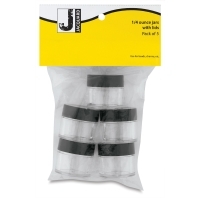 This pack of five Jacquard Plastic Jars is great for storing pigments, paints, and other dry or liquid materials. The wide-mouth 1/4 oz jars are easy to pour and fill. They're made of clear plastic and have black lids.